Calling all mermaid fans! 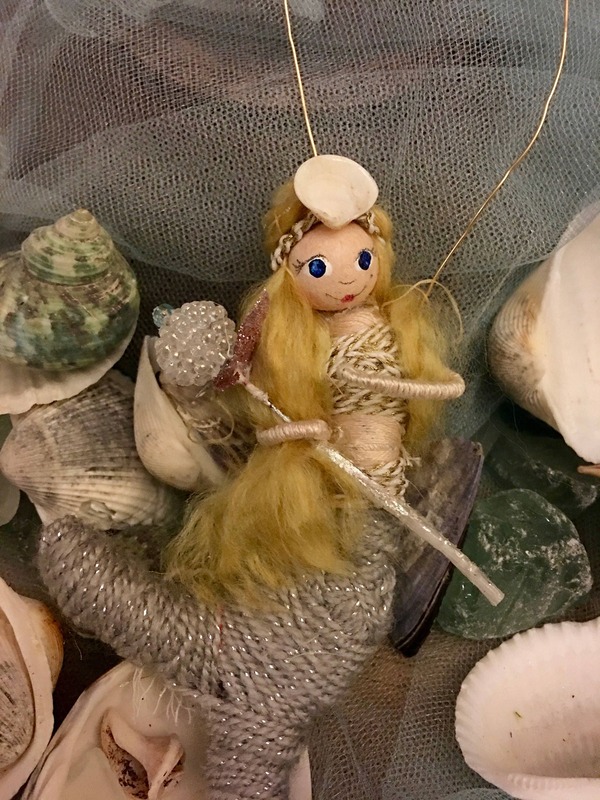 My miniature, magical mermaids are hand-made, each unique in their intricate attention to detail . 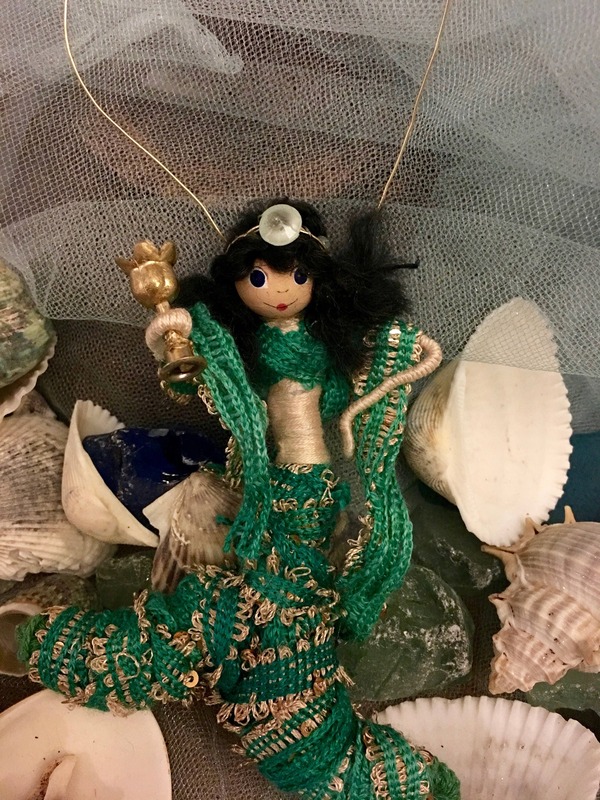 Tiny hand-painted faces, hand wrapped arms and tails, and beautifully adorned hair make each queen of the sea something to behold. 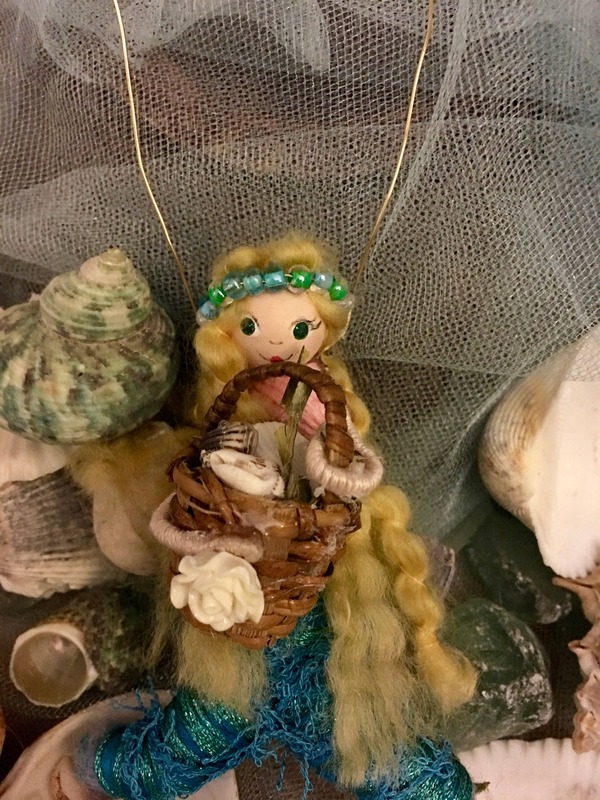 Choose from one of the designs above (will arrive as pictured), or request a custom mermaid with your choice of hair, eye, skin color & theme- go on! Get creative! I’ll accommodate any idea you throw at me! Like one of the mermaids pictured but want another hair color? Just let me know. 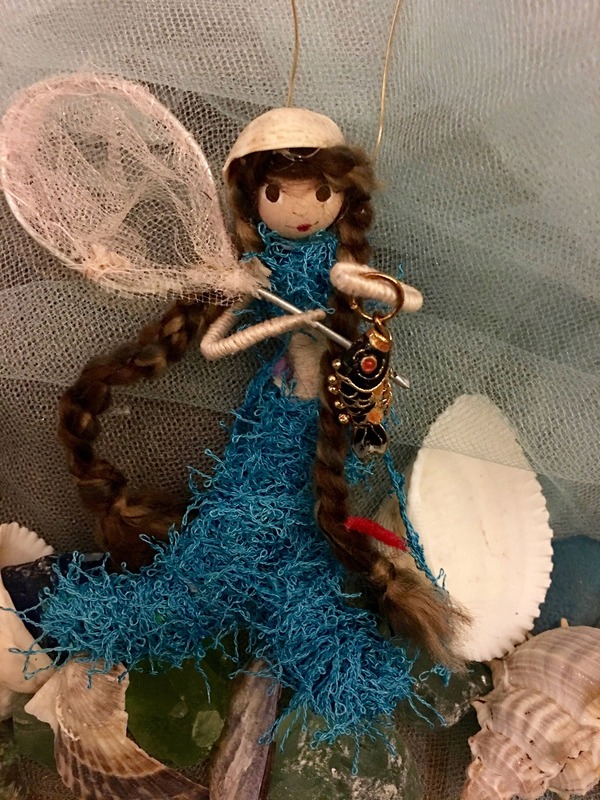 Simply use the pull down menu to choose the Basket Mermaid, The Sea Princess Mermaid, Life's Moment's Mermaid, Fisher-girl Mermaid, the Celebration Mermaid, or a custom mermaid. 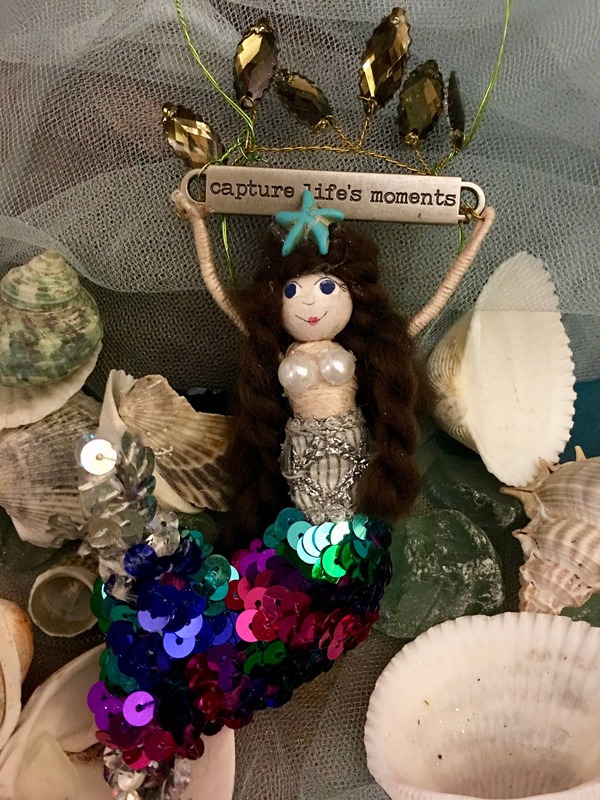 Remember, if you choose custom mermaid, you must include hair, skin and eye color in your notes to me, plus any color choices or themes...I will work with whatever ideas you have - be creative! Alllow 1-2 weeks for Custom mermaids. *Gift Idea* Hang a mermaid from a bottle of wine for the perfect hostess or housewarming gift this summer! Cute mermaid fairy. Very detailed. Thank you!